Prisma makes it easy to implement GraphQL servers. Learn how to use the Prisma client to access your database inside your resolvers. Get started with a practical example and explore how Prisma is used to build production-ready GraphQL servers. Guía de la arquitectura de aplicaciones: https://docs.microsoft.com/es-es/azure/architecture/guide/. Esta guía presenta un enfoque estructurado para diseñar aplicaciones de Azure que sean escalables, resistentes y con una alta disponibilidad. We’re deep in bug fixing mode now, because in May we want to release the next major version of Krita: Krita 4.2.0. While there will be a host of new features, a plethora of bug fixes and performance improvements, one thing is unique: support for painting in HDR mode. 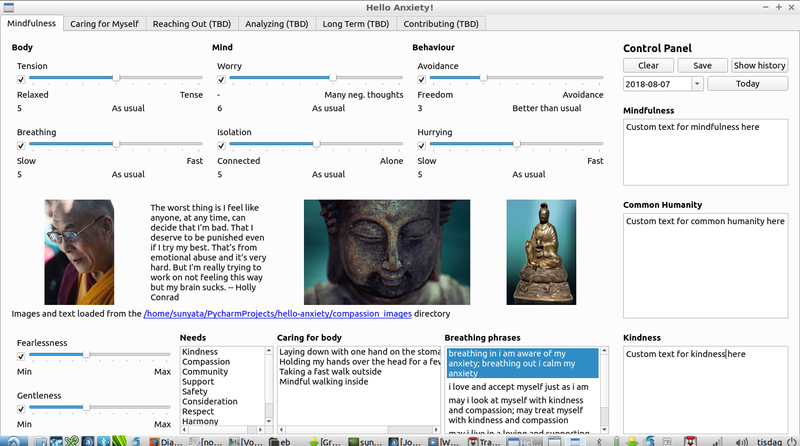 Krita is the very first application, open source or proprietary, that offers this! So, today we release a preview version of Krita 4.2.0 with HDR support baked in, so you can give the new functionality a try! Of course, at this moment, only Windows 10 supports HDR monitors, and only with some very specific hardware. 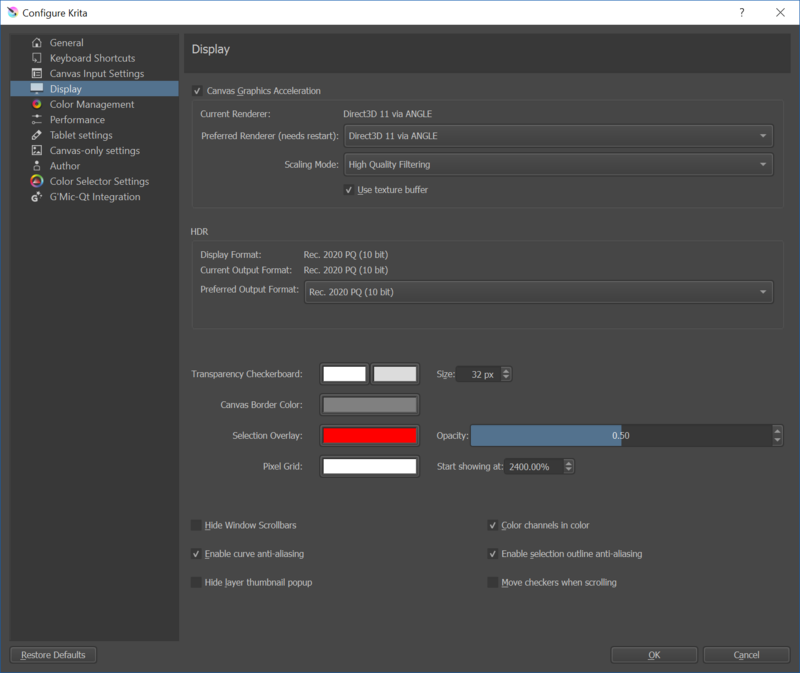 Your CPU and GPU need to be new enough, and you need to have a monitor that supports HDR. We know that the brave folks at Intel are working on HDR support for Linux, though! HDR stands for High Dynamic Range. The opposite is, of course, Low Dynamic Range. Now, many people when hearing the word “HDR” will think of the HDR mode of their phone’s cameras. Those cameras map together images taken at different exposure levels in one image to create, within the small dynamic range of a normal image, the illusion of a high dynamic range image, with often quite unnatural results. This is not that! Tone-mapping is old-hat. These days, manufacturers are bringing out new monitors that can go much brighter than traditional monitors, up to a 1000 nits (a standard for brightness), or even brighter for professional monitors. And modern systems, Intel 7th generation Core CPU’s, support these monitors. And it’s not just brightness, these days most normal monitors are manufactured to display the sRGB gamut. This is fairly limited, and lacks quite a bit of greens (some profession monitors have a wider gamut, of course). 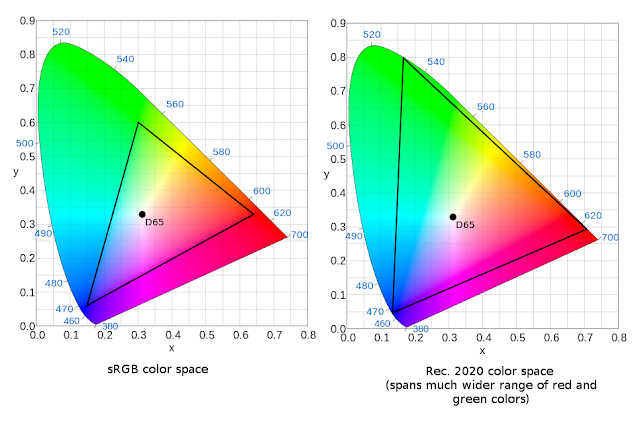 HDR monitors use a far wider gamut, with the Rec. 2020 colorspace. And instead of using traditional exponential gamma correction, they use Perceptual Quantizer (PQ), which not just extends the dynamic range to sun-bright values, but also allows to encode very dark areas, not available in usual sRGB. [IMG]And finally, many laptop panels only support 6 bits per channel; most monitors only 8 bits, monitors for graphics professionals 10 bits per channel — but HDR monitors support from 10 to 16 bits per channel. This means much nicer gradations. It’s early days, though, and from a developers’ point of view, the current situation is messy. It’s hard to understand how everything fits together, and we’ll surely have to update Krita in the future when things straighten out, or if we discover we’ve misunderstood something. So… The only platform that supports HDR is Windows 10 via DirectX. Linux, nope, OpenGL, nah, macOS, not likely. Since Krita speaks OpenGL, not DirectX, we had to hack the OpenGL to DirectX compatibility layer, Angle, to support the extensions needed to work in HDR. Then we had to hack Qt to make it possible to convert the UI (things like buttons and panels) from sRGB to p2020-pq, while keeping the main canvas unconverted. We had to add, of course, a HDR capable color selector. All in all, quite a few months of hard work. That’s just the technical bit: the important bit is how people actually can create new HDR images. So, why is this cool? You’ve got a wider range of colors to work with. You’ve got a wider range of dark to light to work with: you can actually paint with pure light, if you want to. What you’re doing when creating an HDR image is, in a way, not painting something as it should be shown on a display, but as the light falls on a scene. There’s so much new flexibility here that we’ll be discovering new ways to make use of it for quite some time! And how do I use it? 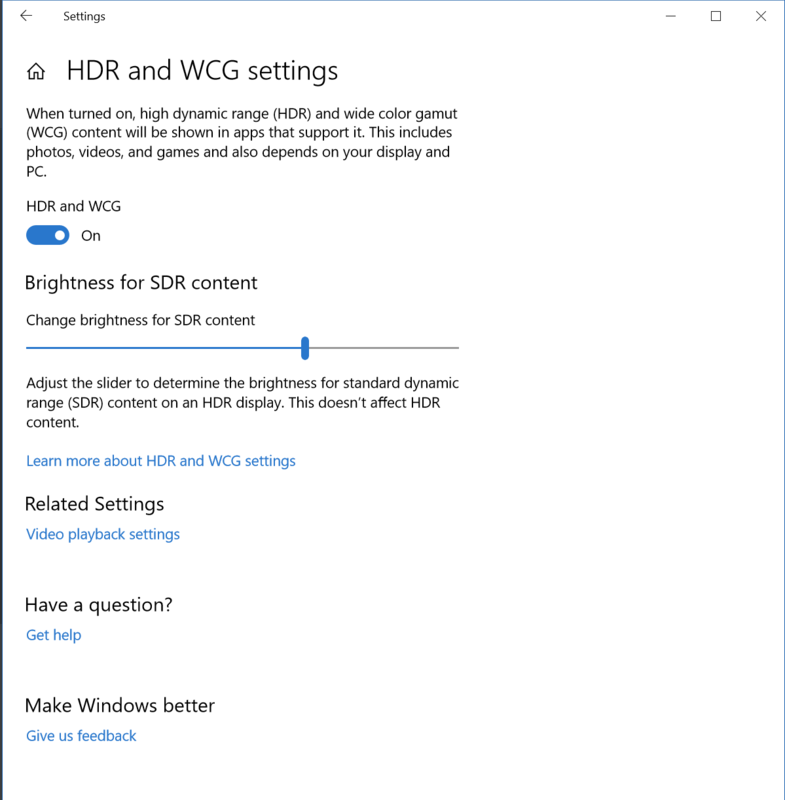 You have to switch the display to HDR mode manually, in the Windows settings utility. Now Windows will start talking to the display in p2020-pq mode. To make sure that you don’t freak out because everything looks weird, you’ll have to select a default SDR brightness level. [IMG]You have to configure Krita to support HDR. In the Settings → Configure Krita → Display settings panel you need to select your preferred surface. You’ll also want to select the HDR-capable small color selector from the Settings → Dockers menu. [IMG]To create a proper HDR image, you will need to make a canvas using a profile with the rec 2020 gamut and a linear tone-response-curve: “Rec2020-elle-V4-g10.icc” is the profile you need to choose. HDR images are standardized to use the Rec2020 gamut, and the PQ trc. However, a linear TRC is easier to edit images in, so we don’t convert to PQ until we’re satisfied with our image. Krita’s native .kra file format can save HDR images just fine. You should use that as your working format. For sharing with other image editors, you should use the OpenEXR format. For sharing on the Web, you can use the expanded PNG format. Since all this is so new, there’s not much support for that standard yet. * Have an animation open. * Press the configure button next to the fileformat dropdown. * Select for the Profile: ‘main10’. * The HDR Mode checkbox should now be enabled: toggle it. * Finally, when done, click ‘render’. If you have a CPU of 7^th gen Core or later with intel Graphics integrated you can take advantage of HW accelerated encode to save time in the export stage: ffmpeg does that for you. Sorry, this version of Krita is only useful for Windows users. Linux graphics developers, get a move on! Plus globalement, ES Files Explorer est un bloatware plein de publicités, ne l'utilisez pas ! En ce qui me concerne, j'ai opté pour FX Explorer voilà déjà quelques temps. VLC passe la barre des 3 milliards de téléchargements ! I’m grateful for feedback that you can give me!